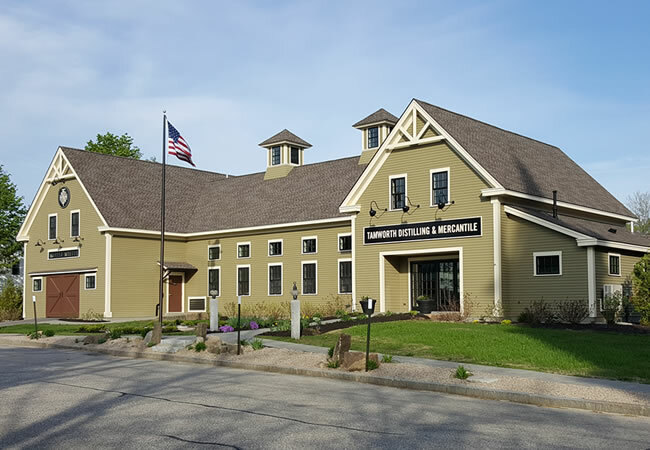 The Tamworth Distilling & Mercantile was a commercial architecture project designed for a private company looking to brand their own craft liquors. The new building, which was built on the site of an old inn, needed to compliment the historic fabric of downtown Tamworth, NH. Along with the distilling room is a retail store, a sunroom/sitting area, office space and plenty of storage space in the full basement. The project was successfully completed in a very tight design time frame. For more details see the NH Home Magazine article.